This event is FREE for 15 bloggers only. So, what are you waiting for? 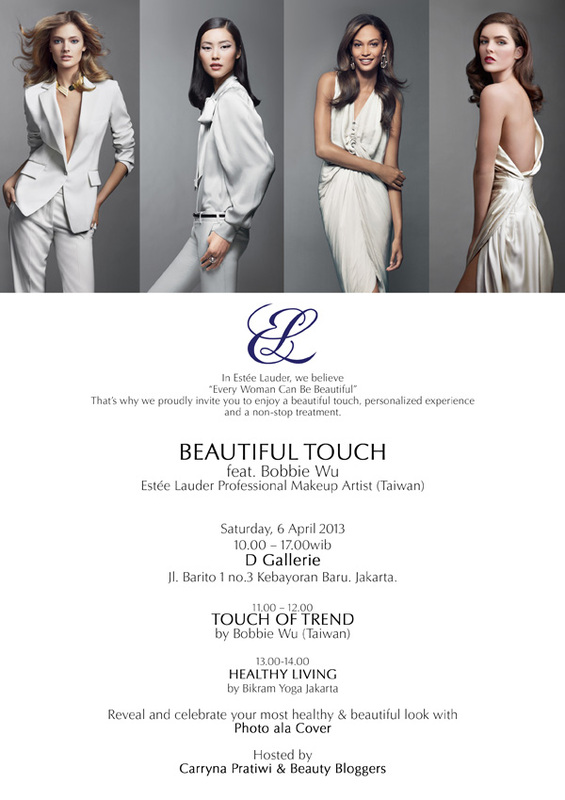 Send your Full Name, Phone Number and Blog URL to my email carryna.pratiwi@gmail.com, subject: "Estee Lauder Beautiful Touch RSVP". Don't miss it..! ^^ See ya! !